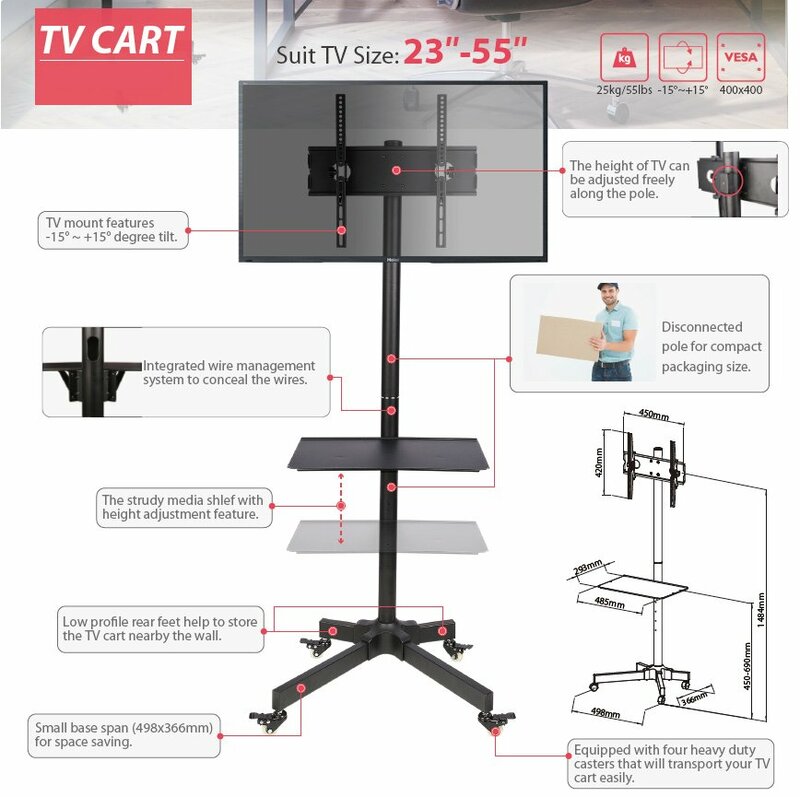 The UM400B TV Cart is the perfect option for offices, hotel lounges, marketplaces, exhibition halls etc where you need to position a TV screen but still require ability to quickly and easily move the stand around. It can be easily disassembled to a compact size easy for transportation. The UM400B TV stand comes with a shelf to support your DVD / Blu-ray player, Laptop or any other small, lightweight equipment. Disconnected pole for compact packaging size. Low profile rear feet help to store the TV cart nearby the wall. Small base span ( mm) for space saving. TV mount features -15 ~ +15 degree tilt. The height of TV can be adjusted freely along the pole. Very easy to put together and very sturdy. Excellent solution when you do not want to walk mount a large tv. The description said the bracket fitted 23 inch tv & this is not true. A wasted buy for me. Very disappointed. 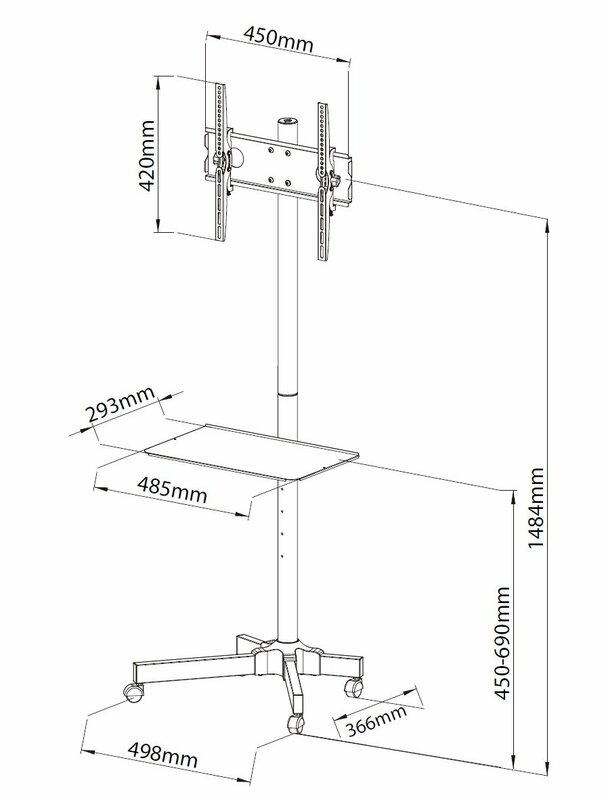 B-Tech Small Floor Stand with 2m pole for TVs up to 26"